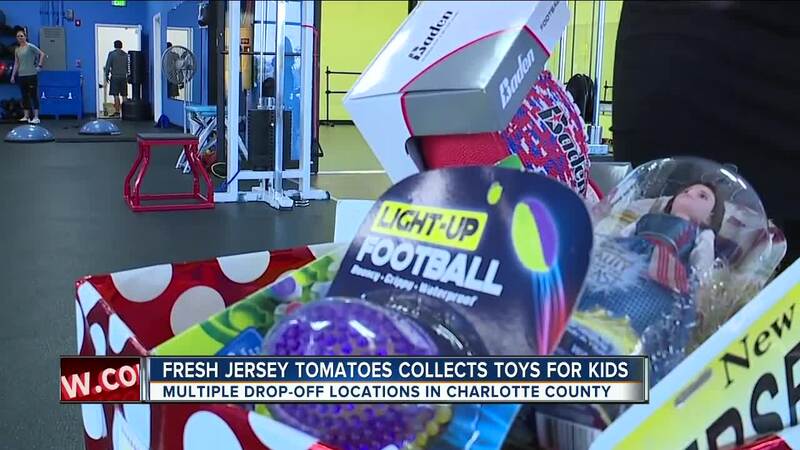 Fresh Jersey Tomatoes collects new or unwrapped toys for kids in Charlotte County until Friday, December 7th. 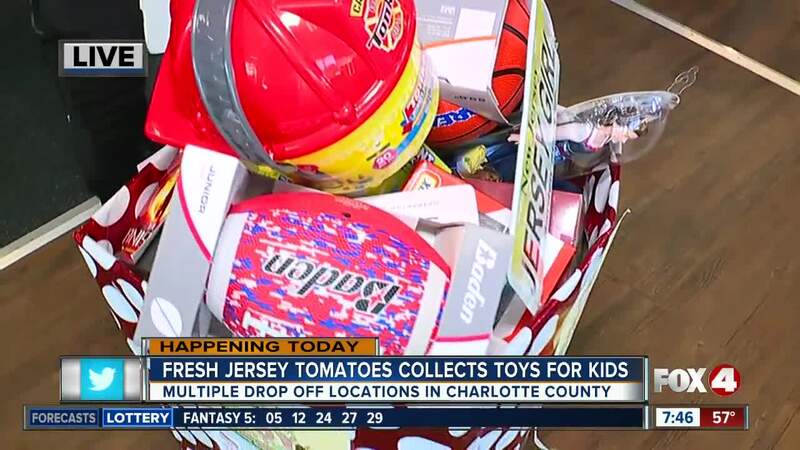 CHARLOTTE COUNTY, Fla. — Fresh Jersey Tomatoes holds its third annual toy drive until Friday, December 7th, for children receiving services from Charlotte Behavioral Health Care. You can drop off new or unwrapped toys for infants to 18-year-olds at several locations in Charlotte County. 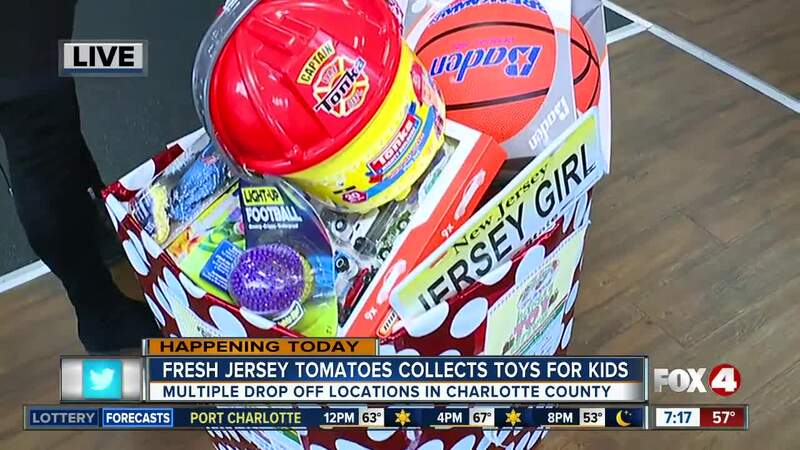 Fresh Jersey Tomatoes said the most desperate need for gifts is ages 13 to 18. Suggestions for girls include nail kits, make-up kits, art project kits or small gift cards to Walmart or Target. Suggestions for boys include tools, tool kits, model cars, model airplanes or small gift cards to Walmart or Target. * Charlotte Behavioral Healthcare- 1700 Education Avenue in Punta Gorda.